For all cities that host the World Cup, with the large crowds comes an increase in petty crime. Always stay alert especially when traveling on the metro, walking in crowded areas and above all at the stadium, which is a prime-time for pickpockets to act. We recommend bringing a small satchel or a pouch that you have around your neck and under your shirt, with essentials such as a credit card, passport, cash and your phone. Do not leave valuables in pockets or in bags that you wear on your back or to the side of your body, as these will make you an easy target. By law, you need to carry your passport on you at all times in Russia, and officials can ask to see your ID at any time, so don’t forget it in the hotel safe. If you can, leave your hotel keys with reception when leaving the building, so that will be one less item to worry about. 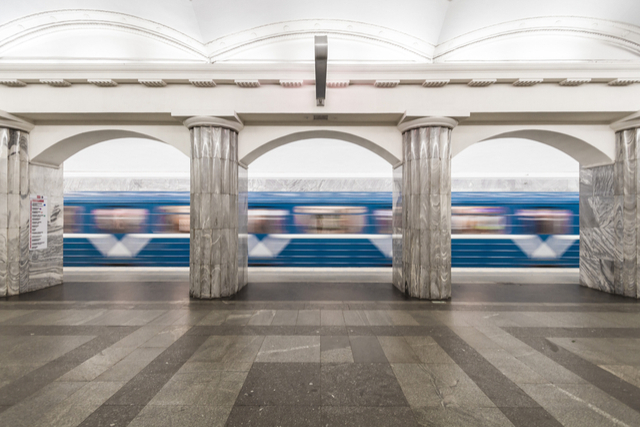 Metro stations are within walking distance to most parts of central St. Petersburg. St Petersburg has an easy-to-use metro system, with five lines running across the city. At each station you’ll find maps in English to help you get around. You can also download a St Petersburg metro map from the app store. Metro stations are marked by a big “M” sign on the street. The nearest station to the Krestovsky Stadium, which is where the matches will be taking place, is the Krestovsky Ostrov station, which is on the Frunzensko-Primorskaya metro line. At the metro stations you can buy a coin which grants you a single ride, or you can buy a reusable card, which you can reload and use for multiple journeys during your time in the city. Cars will not be permitted near to the stadium, so it is better to travel to matches by public transportation. Rooms are available now on Sennaya Ploschad with three metro stations. If you want to explore the city between matches and want to take a taxi, apps such as Gett and Yandex Taxi are popular in St Petersburg. You can also order a taxi by phone, however, many companies do not have English-speaking operators, so ask at the reception of your hotel to call you a taxi or to arrange a pick-up. 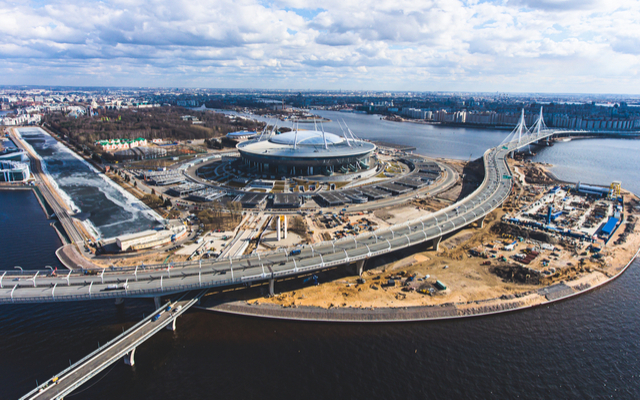 Allow yourself plenty of time to arrive at St. Petersburg Stadium. Once you arrive, there will be big crowds passing through security checks. Be prepared to queue with plenty of time, and don’t try to carry any glass bottle or alcohol into the stadium, as this will only delay entry. Officials also have the right to turn fans away from entering the stadium if they appear drunk, so save the drinking until after the match or if you’re watching a game in a bar. 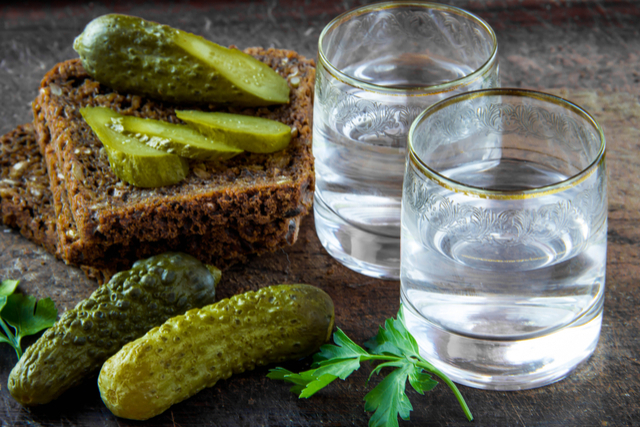 Try local food and vodka. If you’re watching a match from a bar, why not swap beer with Russia’s traditional drink, vodka. You can mingle with locals while watching one of the games that you’re not attending and enjoy the atmosphere of some of St Petersburg top drinking dens, such as the Dead Poets Bar, Bar Union or Tipplers Bar. Fan IDs, otherwise known as “personalized card of the spectator”, are individual cards that are issued to each ticket holder. A ticket by itself will be insufficient to enter the stadium, so be sure not to forget your Fan ID. You can apply for a Fan ID card once you have applied for match tickets and FIFA has approved your application. Apply for your Fan ID card here. Official FIFA site for World Cup schedules and information. Rooms are available now in St. Petersburg on Sennaya Ploschad with three metro stations. Where to watch the World Cup outside Russia. Carmela Rodriguez is a Journalist from London. 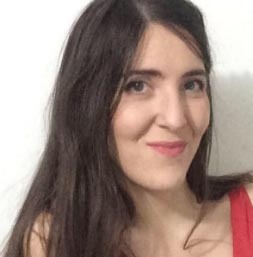 She quit the rainy UK and moved to sunny Medellin, Colombia, where she is a Content Writer for Alltherooms.com. Her favorite travel adventures have been staying at a hostel in the middle of the Caribbean sea and riding a motorbike in Vietnam.